Fairy in the Autumn Woods. Games online. Every season has its beauty but none is as full of bright colours as the autumn. 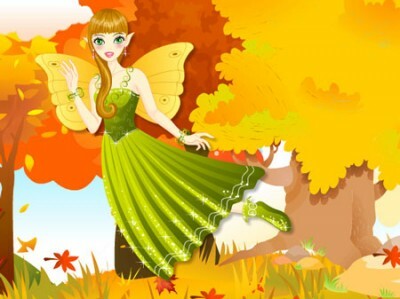 Help the autumn fairy pick the finest clothes and the most beautiful wings so that she could fly away and give way to the winter fairies.